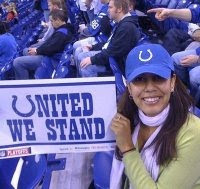 TheWirk.com ~ voted BallHyped.com's 2010 "Best Independent Sports Blog": I just scored my ticket to the Super Bowl!!!! Just checked my email and I have the best brother EVER. I get to keep both of my kidneys and have been given a free ticket to the Super Bowl!!!!! You have no idea what your brother had to do to get these. You owe him big. Very funny ~ I actually saw the email trail, it was a lot easier than you'd believe!